Unfortunately, it’s not possible to combine orders or add items to an existing order. Can I change my shipping address after the order has been dispatched? We are unable to redirect orders once your items have been dispatched, please ensure you provide a suitable shipping address for the specified delivery date. Yes. Upon shipment of your order, a tracking number related to your order will be issued within our email update. Please contact us for an update on the status of your order at any time. Goods shipped within Australia do not require a signature on delivery. Goods shipped to the rest of the world do require a signature on delivery. Please ensure you provide a suitable shipping address for the specified delivery date. Does The Rocks Push have sales? The Rocks Push online store does not generally have sales. Does The Rocks Push ship to multiple addresses for one order? Does The Rocks Push ship to PO boxes or freight forwarding addresses? We deliver to PO addresses in Australia. For shipping outside Australia, we are unable to deliver to PO addresses. We do not deliver to freight forwarding addresses. Please click on the SHOP button at the top right of the homepage to see the full range of The Rocks Push products. Please click on SEND A GIFT VOUCHER. Items displayed on the site are in stock. If you are unable to find your chosen style, colour and size in the pull-down menu, we may have sold out of that item. Should you not see the item you want on the website, please contact us with a message including the style, colour and size you’re looking for and we’ll get back to you with availability. Please click on a product category menu item int eh site header to see the full range of The Rocks Push products. Please click on a product to learn more about this product including a description, close up photographs, colours and sizes available, size charts and fit notes and our delivery policy. Please select the style you like, choose the colour you like, select your size and click ADD TO BAG. Your bag will show the added item. To continue shopping, please click CONTINUE SHOPPING. Review the items in your bag at any time by selecting YOUR BAG link in the top right hand corner of your page and use the REMOVE button to delete individual items from your bag or CLEAR BASKET button to remove all items from your bag. When you are happy with the contents of your bag, please choose your preferred shipping option and if you have a promotional code or gift voucher code, please enter it in the relevant boxes. Then click TO CHECKOUT. Add your billing information and if your delivery address is different to that linked to your payment method, please click the box at the bottom of the page and add the delivery address. Click NEXT. Select your preferred payment method, add relevant details and click PAY NOW. A confirmation box will appear stating your invoice number and we will immediately send you an email confirming receipt of your order, your order number and your invoice. We endeavour to ship your order the day after receipt of your order. How do I return/exchange from outside Australia? 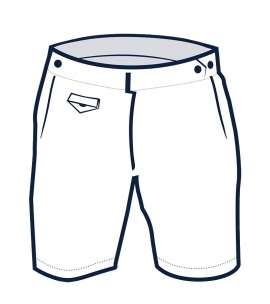 We’ll exchange your swim shorts endlessly, until you find a pair of swim shorts you like. While we don’t accept responsibility for the return shipping cost for you to send back swim shorts to us for exchange, we will cover the cost to ship your exchange to you. 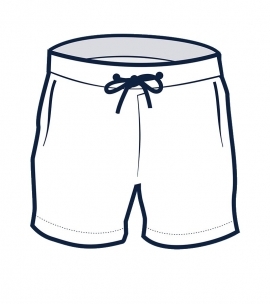 As the swim shorts are very light, the shipping cost will be minimal. Please ensure the items you wish to return are in original condition (no exceptions). All returned item/s must not be soiled, mishandled, abused or laundered and they must be returned with all original tags and accessories. If items returned are not in original condition, no exchange or refund will be issued and the purchaser will forfeit all claims. When we receive your swim shorts, we’ll check them over. We will send your exchange by regular post. For refunds, we aim to issue a refund within 14 days of receiving your shorts; we’ll credit you using the same method of payment you used to pay for the order. How do I return/exchange from within Australia? We provide you with a Reply Paid postal address so you don’t pay to return the swim shorts to us for exchange or refund. How much in duties/taxes will I have to pay? We provide free shipping worldwide but this does not include duties on arrival. How soon can I get my order and what is the cost? We provide FREE express shipping within Australia using the Australia Post Express Post service. In the network, delivery time is 1 day, outside the network, delivery time is up to 7 days. Check your address here. We provide FREE worldwide shipping using the Australia Post International Standard service. Delivery time is 4-8 business days (this service provides tracking). Duties may be payable on arrival. When you place your order, your credit card or Paypal account is charged. After you place your order, you will receive an email confirming your order has been received and paid for. Please click here to send us a message about the style, colour and size you are looking for and we will check our stock and get back to you. Is it safe to use my credit card on therockspush.com? At The Rocks Push, your personal online security is important to us. We use the latest SSL encryption technology to store and safely transmit your credit card information through our systems. All orders are processed through a secure checkout system provided by Stripe & Paypal. Additionally, for your safety and protection, we will confirm that the billing address you provide matches the address on file with your credit card company. This website supports a secure socket layer of 1.28 bytes or more for security capabilities, and is activated during your checkout process. Your order is insured against theft and accidental damage whilst in transit from The Rocks Push to the shipping address. Once your items have been delivered, they are no longer covered by insurance. Please note that The Rocks Push may use your contact details to inform you of the latest arrivals and new services via email. If you would prefer not to receive these updates, please click unsubscribe at the bottom of any email correspondence. You order will be shipped in unmarked standard Australia Post packaging. It is discreet, inconspicuous and without logos or branding. This is for your security and convenience should you be purchasing a gift. Inside the postal packaging, your items will be packaged in custom designed functional packaging we create for every product. We do not use plastic to package our product for environmental reasons and prefer to provide you with functional packaging that helps store and care for your items. 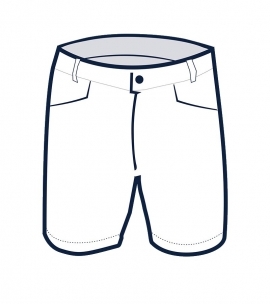 Your shorts will be packaged in a swim short bag with a waterproof wallet inside. We accept Paypal, Visa, MasterCard and American Express. All prices are listed in and transactions processed in Australian Dollars. Please note we do not accept any other methods of payment apart from those listed above. To see current exchange rates, please click here. We endeavour to ship your order the day after receipt. We will send you a tracking code upon shipping, which can be used to track your order, both within Australia and internationally. We are very happy to help you track your order, please contact us for help. 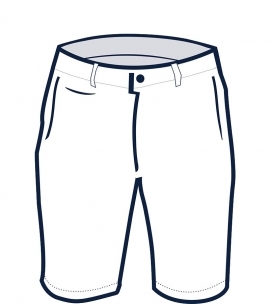 We have provided a SIZE GUIDE for every style of swim shorts to help you understand how each item is cut and is intended to fit. Please click the size guide link on the product page. For more help, we are always on hand to help, please contact us by email or phone or chat to us online. Please send your items back within the specific time period (60 days), in original condition. Click here for more information. We will process your refund on receipt and contact you to let you know we are sending your replacement shorts or processing your refund. Your refund will be credited to the original purchaser’s credit card or Paypal account. Due to banking processes (that are out of our control), please allow up to 21 days for the credit to appear on your statement. We reserve the right to recover any costs charged to us on the return of any item to The Rocks Push. Should this occur, we will inform you by email and send proof of charges for your information and deduct these charges from the refund price.